EXTENDED FAMILY HOME offered for sale with no chain involved having LARGER THAN AVERAGE REAR GARDEN and parking for several vehicles. 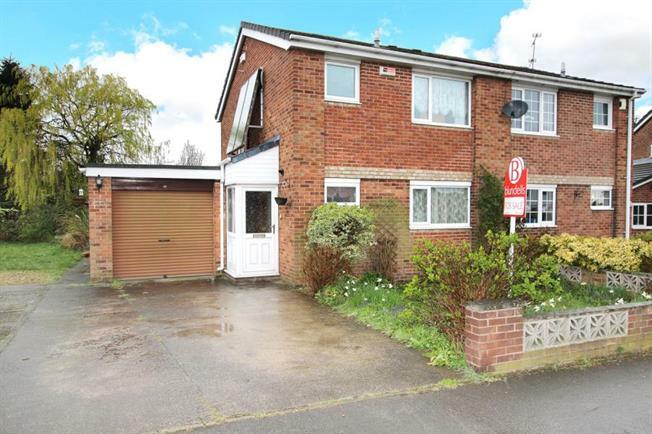 Situated in this popular location giving access to local amenities and public transport links viewing is a must. The property would suit a varied purchaser and offers versatile living. In brief the property comprises of front entrance porch leading through to the hallway. W.C. having a two piece suite. Front facing kitchen having a range of fitted wall and base units in Beech effect. Lounge with gas fire leading through to the sun room with patio door to the rear garden. Play room / Study. First floor landing giving access to three bedrooms and family bathroom with a three piece suite. Outside to the front is a garden area with drive providing off road parking for several vehicles. To the rear and side of the property is a larger than average garden mainly laid to lawn with mature trees and borders. Only by taking a viewing can the size of house and garden be fully appreciated.